Just outside the Las Vegas Valley and along the well known stretch of highway that visitors take to visit the Hoover Dam and Lake Mead, lies is Boulder City. Founded as a town to house the many workers constructing the nearby dam, Boulder City is in many ways a remnant of an earlier and simpler time. There is no gambling in the town, again a carry over the it's original days as a home for dam workers, and Boulder City runs at a slower pace than neighboring Las Vegas and even Henderson. Downtown Boulder City looks something like a remnant from the glory days of Route 66. And in the middle of this quaint little down lies one of the best known secrets in the area, The Coffee Cup Cafe. Locally famous for it's excellent down home food and service, and world famous for being featured on Guy Fieri's Diners Drive-Ins and Dives. On the west side of the Las Vegas Valley, on land formerly owned by Howard Hughes and left to The Mormons upon his death, is the amazing and upscale community of Summerlin. The town boasts an incredible view of the Las Vegas Strip at night and is set against incredible red rock mountains during the day. Summerlin is a master planned development set among a striking landscape that offers the more affluent residents of Las Vegas valley a respite from the hustle and bustle of the busy destination to world travelers. A Flying Car Prototype?! We Want One! One of the biggest targets in the tech industry is automobiles and automakers have been trying to get their foot in the door of the newest thing. That new thing now is flying. So why not build a flying car? Can you imagine?? Well there is a company that has the first look of what it’s like to pilot a "flying automobile." Even though this "vehicle" looks like something out of a science fiction story, it's quite real. A small Silicon Valley company named Kitty Hawk released their prototype for their mysterious "flying car" startup backed by Alphabet CEO Larry Page. Locals fans and visitors alike will be saddened to learn that The Lotus of Siam has been forced to close its doors temporarily due to a roof cave in. Unfortunately enough, the cave in happened during business hours, forcing refunds and cancellation of all existing reservations. According to management, the resturant is determined to re-open as soon as possible, though it may be at a new and temporary location. As of this posting, management has no date for reopening, as damage proved to be worse than originally thought. Fans of Lotus of Siam should stay tuned to their website and Facebook page for more information and updates. According to the history noted on their website, Squeeze In began in 1974. From a tiny little kitchen, Squeeze In started selling omelettes to locals and tourists in historic downtown Truckee California. Now many years later, Squeeze In has become not only a fixture in Truckee, but is becoming so all over the silver state. Every once in a while we run across a real gem that simply too good not to share. That's absolutely the case with a locals place in Las Vegas called "Steiner's- A Nevada Style Pub". If you're a local then you know that Vegas has no shortage of local hangouts. Standing out from the sea of competition is no easy task. Yet Steiner's does so easily. We can say, without a doubt, we have yet to try anything on the menu that wasn't simply excellent. It doesn't matter if you come here for the brews (two for one beers on tap, hello?) or the sports (TVs are everywhere!) or the atmosphere, Steiner's if you don't try the food, you're missing out on one of the best local restaurants in Las Vegas. Welcome to a new kind of Travel website! One that is dedicated to making it easier for you to find off-the-map places to stay and play and to get the information you're really looking for. The Travel Butler is about sharing Travel, information, off-beat adventures, secrets from the road, vacation rentals and homes, and services that are otherwise very hard to find. We've created a Travel websites for travelers and travel vendors to find each other and get connected! We call our site The Travel Butler. We hope our website will encourage you to look off the beaten path for the road less traveled. That it will help you find the hidden gems along the way that other have found before you. We encourage you to read and share openly here! And if you happen to find a hidden gem of your own, we encourage you to share it here as well, and let other benefit from your own good fortune. This Is A Place To Find and Share Secrets! If you're a traveler, The Travel Butler is the place to read stories and recommendations and to discover new adventures from other travelers like you. This is where word of mouth means a lot. A place to tell the world what you remembered most about your adventures. We hope you make the most of your travels with The Travel Butler! For locals, The Best of Las Vegas list is a go-to reference for where to find what they're looking for. For visitors, it's one of the best ways to discover some of the real Las Vegas gems in a see of diamonds. It's true! 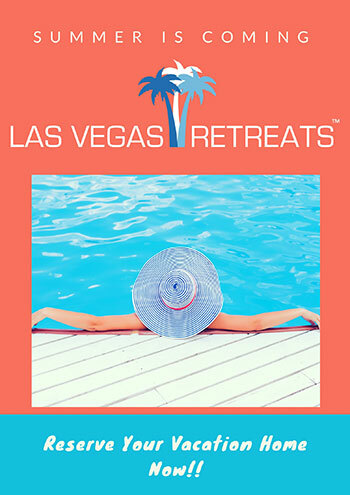 Vegas offers much more than your typical city and even more than your typical tourist destination. Except for places like New York City and Paris, Las Vegas is probably offers more choices for excellent food and entertainment anywhere. Year after year, The Las Vegas Weekly publishes their Best Of Vegas, which is based on the unbiased opinions of both readers and professions alike. Packed with sugar and color we just HAD to try this crazy new limited time drink from Starbucks. Not only is it attractive by its color but its label as well. What coffee lover doesn’t drool when they see the Starbucks logo? People wonder though, did they create this crazy drink because it’s actually a good and unique idea, or are they just trying to take our money? Whether it's a publicity stunt or not, we took a gamble and tried it to see what the fuss was about. In this day and age it's really tough to find anything that isn't a chain. Restaurants at nearly every single strip mall are largely comprised of the usual Del Tacos, Burger Kings, Chili's and Claim Jumpers. It's hard to find anything that isn't some kind of pre-packaged food done by people who really don't care much beyond their hourly paychecks. Mind you, there is nothing wrong with that. But after a while, it's nice to try something different. Something that reflects the owner's passion for food and culture, rather than some franchisee's idea of a good restaurant. If you live in California, Colorado, Hawaii, Nevada, taxes, Nebraska, Pennsylvania and even in Japan, you can enjoy Wahoo's Tacos & More, a chain that offers more than just quick food with predictable mediocre regularity. Wahoo's offers excellent food with a surfer culture spin and a really fun environment too.